We caught up with Mac & Cheeza owner Larkin Mackey yesterday afternoon, who gave us the scoop on the meltery's landlord problems and its expansions plans. These days, Mackey splits his time between L.A. and LA (Louisiana, that is), where he's working on launching a Mac & Cheeza food truck in New Orleans. With the brick-and-mortar restaurant in downtown Los Angeles either moving or forced out of its digs, he's also planning on launching a food truck in this city. In a way, it's a return to Mac & Cheeza's roots. "Mac & Cheeza was originally going to be a food truck, but the owners [of the Chapman building] came to me and wanted me to do something in there," Mackey says. 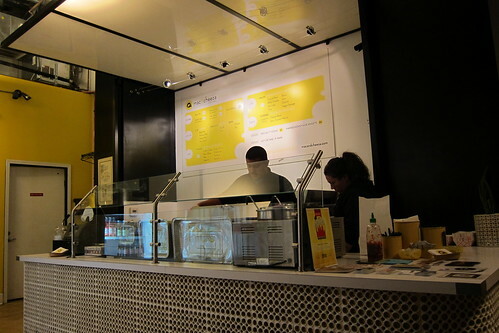 With his partner Joshua McBride, he opened Mac & Cheeza in 2010. The shoebox-sized restaurant specializing in fully customizable mac 'n cheese quickly garnered kudos, including from our own Jonathan Gold. Now, Mackey's in a bitter entanglement with his landlord(s), one that he thinks will end up in court. "It's probably gonna be ugly," he says. According to Mackey, the dispute began back in March when he complained about the cost of his electric bill, which he says is two times higher than at any of his other restaurants. He believes that's due to improper wiring and maintenance in the building. The upshot: He says his landlord stopped accepting his rent payment in December 2011. "We were planning on moving out because of the electric bill," Mackey says, but he has accelerated his timeline. He's now moving "as fast as I can" to launch both food trucks, hopefully within the next month, though he expects the New Orleans truck to roll out first. After that, he's looking to franchise the Mac & Cheeza concept. 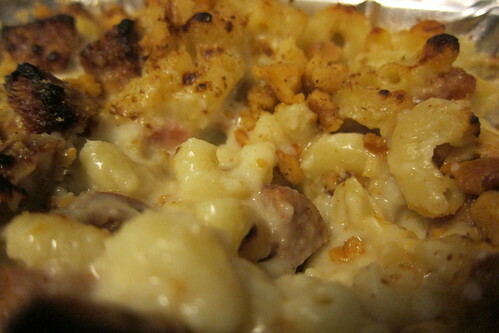 He's also slated to potentially open a Mac & Cheeza outpost in LAX. "Sometimes, good things come from bad," Mackey says. As for the situation in downtown Los Angeles, he thinks its representative of a larger trend. "I think a lot of businesses down there are experiencing the same thing," Mackey says. "The building owners are getting greedy. Where before they were begging us to bring our businesses there, now they can kick people out."